You want to buy a cheap inflatable boat so you can save money and still enjoy the wonderful world of boating. 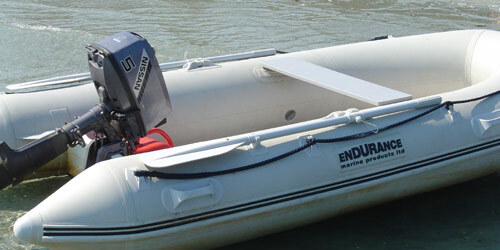 There are many brands of low price cheap inflatable boats that will serve the purpose admirably. Some low price brands offer more refined designs, more carefully selected materials, and a higher level of quality control. These are generally the boats manufactured in Eastern Europe, or boats manufactured through contract manufacturing arrangements with Asian manufacturers. This is very hard to see just looking at a boat in a store or on the internet. It is hard to tell reading inflatable boat reviews. It is also hard to tell speaking to sales people, but it shows up when you use them! It shows up when you put them together.... all the parts fit! It shows up in the water..... the performance is better! It shows up over time..... they last longer! These cheap inflatable boat brands usually don't compete on price alone. They may not be the cheapest of the import boats of comparable size and style. If you are looking for an even lower price on a cheap inflatable boat then look at this list instead. It is interesting the secrecy companies often have around their manufacturing. I would rather know where a boat is manufactured as this may help me make my buying decision. I like how Star Inflatables out of South Carolina, USA is open about their relationship with Woosung I.B Company in South Korea. It makes me more comfortable about purchasing their product. They obviously have nothing to hide and are confident in their product. It can be difficult to find out the truth about a company's manufacturing. Most companies do not want to tell you. I have asked many companies and they simply say it is confidential. One brand of boat may use original design manufacturing or "white label" boats for its cheapest line. Then set up contract manufacturing with the same factory (or a different factory) to produce a more refined boat with higher quality fabric or features. Then contract with a another company for their higher end boats. So each model of the same cheap inflatable boat brand could be made in a different factory in a different country! The world of manufacturing is complex! Here is a list of Eastern European brands, Asian brands, and brands that appear to be using the contract manufacturing model to get their boats built in Asia to a higher quality standard. This does not mean that these brands are better quality than the lower price brands, but as I gather more information I remove the low price poor quality brands from this list. Let me know if you know of any information that will improve this list. I am also working on creating inflatable boat reviews for as many of these brands as possible. Honda - I am guessing made in China under contract? Kingsun - Asian brand by Jiangsu Tiger Yacht Man. Co. Ltd.
Mikado Royal - Polish Brand - probably made in China? Nissan - I am guessing made in China under contract? Sail - Asian brand by Jiangsu Tiger Yacht Man. Co. Ltd.
Xiang Da - Chinese brand of Weihai Xiangda Marine Company Ltd.
Shunfeng - Chinese brand of Zhenjiang Shunfeng Power Machinery Manufacture Company Ltd.
Suzumar - Suzuki's brand - I am guessing made in China under contract?